A Michigan vineyard wedding is an intimate setting. Imagine lush vineyards as the backdrop for your special day. 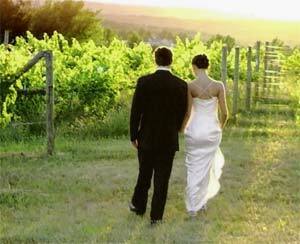 A Michigan vineyard wedding is a great option if you are seeking a special, romantic and intimate setting. A winery wedding adds all the charm one could ask for when getting married. Several Michigan wineries offer their facilities for weddings of any size. Most have event coordinators or wedding planners on staff that help you plan every detail. Wineries may offer tents or wedding barns to host either the ceremony or reception. Michigan wineries also make a great venue for your reception if your plans are for a beach wedding. It is important to contact them well in advance to reserve your vineyard wedding date. Michigan winery weddings are getting increasingly popular and thus the need to start planning early. Many Michigan wineries are located in the northwest corner of the lower peninsula ... around the Traverse Bay area. You can have your Michigan vineyard wedding with spectacular views of Traverse Bay. If your planning your vineyard wedding in the Traverse City area be sure and check out the Ciccone Vineyard and Winery barn. Sue and I fell in love with the setting and the views. Find County Clerks offices to get all the information you need for obtaining your marriage license. Free Wedding planner to keep track of all the important details no matter the size of your ceremony. Print it out and start gathering information. Here are the top northern Michigan wineries for a spectacular vineyard wedding. 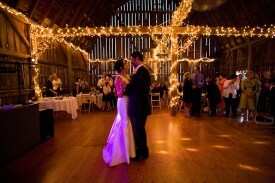 Black Star Farms in Suttons Bay offers full event coordination. 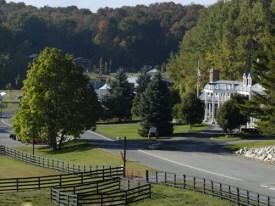 Their 8 room inn has beautiful views of vineyards, pastures and barns. They are also home to the Leelanau Cheese Company. Contact Kristi Karam at 231-944-1255 or kkaram@blackstarfarms.com. Chateau Chantal is located north of Traverse City on Old Mission Peninsula. They host smaller winery weddings with 42 guests the maximum. All guests must stay at the inn. They have an on staff wedding planner to help you with every detail. A majestic setting for a small wedding with Traverse Bay as the backdrop. Visit the majestic Chanteau Chantal. 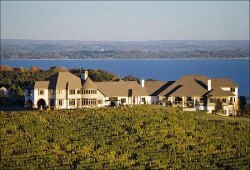 Willow Vineyard is just south of Suttons Bay and has a panoramic view of West Traverse Bay. They can accomodate wedding parties of up to 50. An unforgetable wedding location. 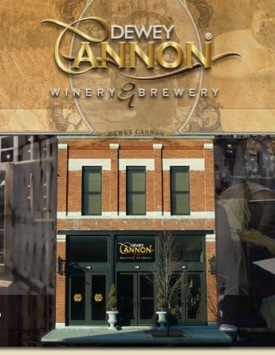 Dewey Cannon Winery and Brewery is located in Three Oaks, Michigan. This comfortable Tuscan themed winery is the perfect place for your private events such as weddings, showers, anniversaries, office parties, rehearsal dinners and any other occasion. Their facilities can host parties of up to 100 people and offer a great opportunity to sample their vast selection of barrel reserve wines & hand-crafted beers in a delightful upscale atmosphere. Saving money is always important. Be sure to visit our discount travel page if you plan to visit these areas and wineries when considering a vineyard wedding in Michigan. From Michigan vineyard wedding back to Michigan beach wedding. 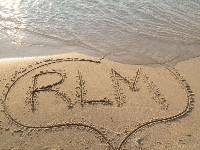 From Michigan vineyard wedding back to Romantic Lake Michigan home.